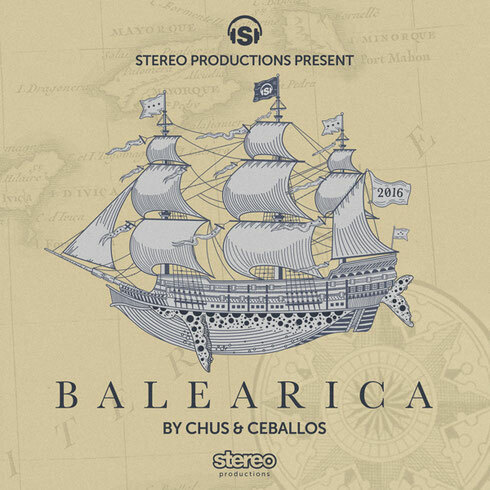 With a busy schedule in tow, Spanish tech house duo Chus & Ceballos release their latest compilation, entitled ‘Balearica 2016’. The album has been curated by the Stereo label bosses to take in a wide range of house styles that should work in a range of settings from sunset to sun up, and from outdoor terrace parties and to the more intimate clubs. The album contains sun kissed beats and soulful synths, tech cuts and house groovers in both original form as well as some remixes from the boys themselves. Other artists included along the way are the likes of Dane Christian Nielsen, SolidGrooves regular Dennis Cruz and Kydus as well as Felipe Puertes, Ben Grunnell, Rafa Barrios, Klondique, Qubiko, Dario D’Attis, Klondique, Vangelis and many more. Out on their own Stereo Productions label, the compilation highlights the duo’s musical styles and is a great example for their A&R talent as the album is a decent showcase of the label’s sound.